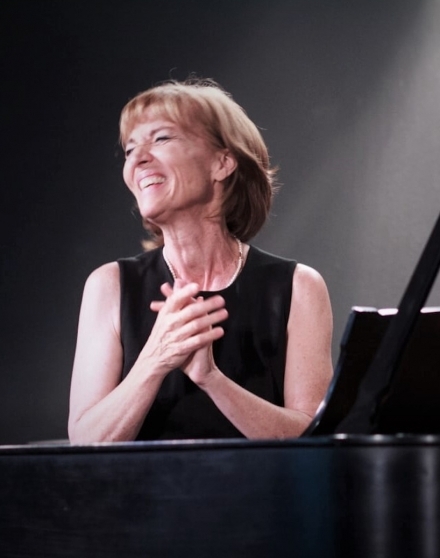 Pianist/composer Joey Curtin will be performing her first Florence, OR concert in Kathy Parsons’ MainlyPiano house concert series on Sunday September 16th at 3:00. Joey Curtin began her musical career in the San Francisco Bay area and now resides in Bellingham, WA. Her compositions are a fusion of jazz, classical, Celtic and Americana influences. Joey's music is heard on National Public Radio, film soundtracks, and a documentary that aired on PBS. Her music is used in National and State Park exhibits and art galleries across the United States. Joey has traveled around the world to perform and speak. She was part of peace and reconciliation meetings in Northern Ireland after the bombing in Omagh. Joey’s album Tigris and Euphrates was nominated for "best piano with instrumentation" category for the 2014 One World Music Radio awards in London. Performances include The Ansel Adams Gallery in Yosemite, The Olympic Village Inn at Squaw Valley, Ahwahnee Hotel in Yosemite National Park, The Sheraton Palace in San Francisco, Legionaires Seminary in Rome Italy, Sheraton Addis Ababa in Ethiopia and Rostrevor in Northern Ireland.